» Lynn Sage Cancer Research Foundation hosts its 10th annual Be My Valentine Family Event! Chicago’s sweetest family event is back for its 10th year, the Lynn Sage Cancer Research Foundation’s 10th Annual “Be My Valentine” event is perfect to satisfy your sweet tooth and support breast cancer research. Lynn Sage Cancer Research Foundation (LSCRF) will host the annual “Be My Valentine” event on Sunday, January 29th from 10:00 a.m. to 1:00 p.m. at The Drake Hotel (140 East Walton Place.) All ages are welcome to enjoy this sweet Sunday brunch with family-friendly activities and live performances providing entertainment for the entire family. 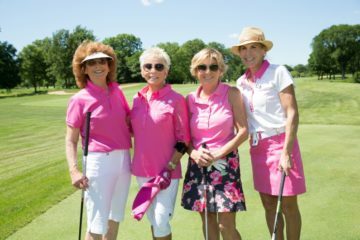 While you and your loved ones enjoy the sweet activities, proceeds will go towards breast cancer research, fellowships and education programs at Northwestern Memorial Hospital and the Robert H. Lurie Comprehensive Cancer Center of Northwestern University. A Chicago Institution, the Lynn Sage Cancer Research Foundation has been a tremendous advocate in breast cancer research for more than 30 years. With a mission to support the understanding, research, and treatment of breast cancer, LSCRF has raised more than $31 million since its inception in 1985. In the spirit of Valentine’s Day, this year’s event will feature an abundance of special events so that every family member has the sweetest time. Specials events include a performance by The Jesse White Tumblers and character appearances courtesy of Sparkles Entertainment. Other activities include a cookie decorating station with Sweet Mandy B’s, games in the Abt Arcade and prosecco for adults to enjoy sponsored by Breakthru Beverage. Are you and your family ready to spend the sweetest Sunday of the year together? We expect this event to sell-out, so get your tickets now to help support breast cancer awareness! Tickets and sponsorships can be purchased by calling (312)-926-7133 or visit the LSCRF website at https://lynnsage.org/event/be-my-valentine-family-event/.